The DWC free zone also includes Al Maktum International Airport, which once completed will have the capability to handle 12 million tons of annual cargo capacity and 160 million passengers. This makes DWC free zone an extraordinary multimodal project that supports a number of activities in aviation, logistics, commercial, residential, exhibition, humanitarian and leisure-related businesses. DWC free zone company formation is the demand of most of entrepreneur. DWC free zone is a strategic enterprise of the Government of Dubai that is set to be biggest and a leading global trade, aviation and business hub. DWC free zone is an extension of Dubai’s legacy as a connection point between the East and the West. It is recognized as one of the most ambitious and unique projects of its kind in the world and it cover the 140-square kilometre area next to Jebel Ali Sea Port. Registering a business in DWC has numerous benefits for companies such as 100% foreign ownership, tax emption along with being a part of history as Dubai World Central aims to become a global logistics hub. Nam Accountants has streamlined the processes for our clients setting up in DWC and deliver timely managed solutions. The Business Centre, which is right at the entrance of DWC, gives businesses the opportunity to establish in a large hub. The infrastructure has been designed with a view to facilitate business operations. * Clear and valid passport copies (preferably in color) of any individual listed as a shareholder, director, general manager and company secretary in the application form. * A certified copy (true copy) of the certificate of incorporation, valid certificate of good standing or valid trade license if it is a corporate shareholder. * If the person handling the application and signing the declaration at the end of the registration & licensing application form is not named as a shareholder, director, general manager or company secretary in the application, then a notarized power of attorney or signed board resolution (if the shareholder is a corporate entity) will be required from each shareholder, confirming that the person handling the application is properly authorized to act on behalf of the shareholders. * 2 copies of the memorandum of association and the articles of association of the DWC free zone company, bearing the name of the company to be incorporated and signed by all shareholders, noting their names, addresses and respective shareholding. * Last but not the least, the applicable fee. For more information on registering a DWC company please contact our specialist business advisers at info@namaccountants.com & + 97150 9683237 who will provide complete assistance. A competent professional accountant in business is an invaluable asset to the company. These individuals employ an inquiring mind to their work founded on the basis of their knowledge of the company’s financials. Using their skills and intimate understanding of the company and the environment in which it operates, professional accountants in business ask challenging questions. Their training in accounting enables them to adopt a pragmatic and objective approach to solving issues. This is a valuable asset to management, particularly in small and medium enterprises where the professional accountants are often the only professionally qualified members of staff. Accountancy professionals in business assist with corporate strategy, provide advice and help businesses to reduce costs, improve their top line and mitigate risks. As board directors, professional accountants in business represent the interest of the owners of the company (i.e., shareholders in a public company). Their roles ordinarily include: governing the organization (such as, approving annual budgets and accounting to the stakeholders for the company’s performance); appointing the chief executive; and determining management’s compensation. As chief financial officers, professional accountants have oversight over all matters relating to the company’s financial health. This includes creating and driving the strategic direction of the business to analysing, creating and communicating financial information. As internal auditors, professional accountants provide independent assurance to management that the organization’s risk management, governance and internal control processes are operating effectively. They also offer advice on areas for enhancements. In the public sector, professional accountants in government shape fiscal policies that had far-reaching impacts on the lives of many. Accountants in academia are tasked with the important role of imparting the knowledge, skills and ethical underpinnings of the profession to the next generation. Nam Accountant is an established accounting and VAT consultancy firm based in the city of Dubai. We offer tailored financial assistance solutions and internal audit consulting services that empower companies to grow and overcome corporate challenges towards achieving their business goals. How Does an LLC Business Pay Taxes? Taxes can be confusing and complicated at the best of times. The fact of the matter is that most business owners or directors are not tax experts. They have other valuable skills that have allowed them to create a successful business. On the surface, an LLC is much like any other business. Business owners have clients to whom they provide services. However, the structure of an LLC can vary based on the number of people involved in the organization, the tax needs of the organization and its partners, as well as the jurisdiction the LLC is operating in. Feeling a little confused already? When talking about LLCs and taxes, it’s easy to feel overwhelmed at first. Luckily, much like any other business, a little bit of research can go a long way when it comes to filing taxes. This article will help shed some light on LLC business taxes, clear away the confusion that can arise come tax time, and tackle the myths that always seem to pop up any time taxes become the topic of discussion. By the end, LLC business taxes won’t feel nearly as complicated or daunting as before. What Are LLC Business Taxes? LLC taxes are treated much like personal income rather than separate business taxes as taxes would be treated with a corporation. 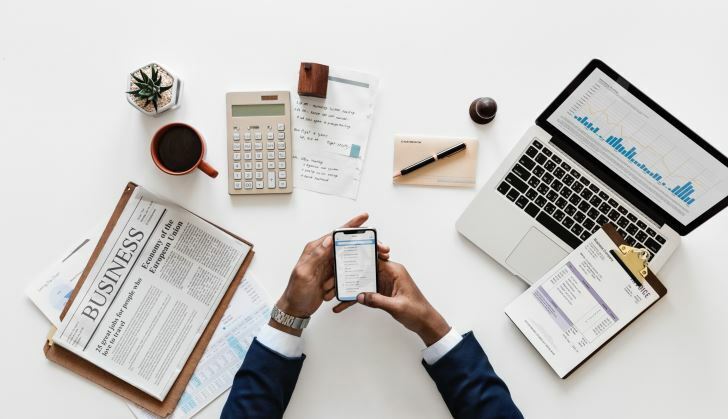 This can make tax filing much more simple for business owners who want the protection of a limited liability without the complicated processes that accompany incorporating a business. In many cases, an LLC is referred to as a passthrough business. This is a simple way of describing how profits and losses are managed within an LLC. The financial considerations of the business are passed through to the members of the organization who then file their taxes personally as they would normally. While that is a simple way of describing LLC business taxes, the finer details can change based on the specific type of LLC in question. Each type of LLC will have slightly different rules on how taxes must be handled. As the name suggests, this is an LLC with a single member. For tax purposes, this type of LLC is treated much like a sole proprietorship would be treated. The LLC business is managed by the sole owner with the main difference being that an LLC offers limited liability while a sole proprietorship does not. For business owners that have been operating for some time, the question often arises about when to incorporate or form an LLC. Forming an LLC is a much more popular option as it is less costly and time consuming. In addition, the member can continue managing their business and taxes in the same way they were previously. Tax deductions for business purposes can be claimed on personal income to help reduce the tax burden of the member that oversees the day-to-day operations of the LLC. This is the second most common type of LLC chosen by business owners. A general partnership LLC would be the appropriate type of LLC if there is more than one person with an interest in the business. When registering as an LLC, different members are named, and they can be given different percentages of ownership in the business. The interest does not always necessarily have to be split equally between all members. This slight nuance, however, can affect tax obligations in a big way. For a very simple LLC where two members have equal interest, the profits and losses can easily be split among members and there is little question about who is responsible for what. Things become slightly more complicated when multiple members are involved with varying levels of interest in the business. For example, a 5-person LLC could see 1 member hold 60% interest with the remaining 4 members holding 10% each. When profits and losses are distributed accordingly, the members could have different tax obligations from one another. Despite this one complication, filing taxes as a member of a general partnership LLC can still be much simpler than filing separate returns for corporate taxes as well as personal taxes on dividends earned. This type of LLC is very similar to a general partnership LLC but, as the name suggests, all members are from the same family. Family members can hold property within the LLC, designate members to control the property, and change membership as-needed. For all intents and purposes, a family limited partnership should be treated much like a general partnership LLC should be treated. This is a less common form of LLC as it is increasingly less common for families to see the need to group assets into a business entity. This is a much less common form of LLC as it is only available in a handful of states including Iowa, Nevada, Illinois, Utah, Texas, Oklahoma, and Tennessee. The structure of these LLCs is similar to other LLCs with one major notable change. In a Series LLC, there are smaller cells within the parent LLC and debts or obligations can be assigned to each individual cell. As a result, collectors can only pursue individual cells for the debts they are owed. This can help to protect parent LLCs from debt obligations held by other cells. It does not, however, change the tax responsibilities for the members of the LLC. If this article could be boiled down to one line, it would be the header above. People unnecessarily complicate the concepts of LLCs and the tax responsibilities associated. This is often a result of confusion with corporations. It’s important to remember than an LLC is a passthrough business and any earnings made by the business will be passed along to members of the LLC based on their ownership interest in the business. Once the profits have been passed along, individual members are responsible for incomes taxes as they would if they were simply operating as a sole proprietorship or partnership that had not yet registered as an LLC. Business tax deductions are claimed on the personal tax returns which also makes taxes a little simpler for individuals that are filing. In a partnership situation, business expenses would be claimed based on a percentage of the interest that each member had in the LLC and its associated expenses. This may complicate things slightly, but good tracking of expenses and solid communication should overcome any obstacles. Just when everything looked nice and clear, this section pops up. While basic LLC taxes can be relatively simple as far as business taxes go, there is another wrinkle that may be added to the entire situation. An LLC may, if the members wish, apply to be taxed as a corporation. There are some tax advantages to doing this if the members are high income individuals and the corporate tax rate is determined to be a more beneficial way to manage taxes. These LLCs are known as S Corporations. This is not the most common way to pay taxes as an LLC, but it is important to understand as it can radically change how the LLC and its members are taxed. Finally, it’s important to remember state taxes when filing. This is where LLC business taxes can vary from state to state. The good news is that most states use the IRS definition of an LLC and, as such, the business is treated as a pass through business meaning members are individually responsible for taxes. However, some states do take on their own definitions of how an LLC should pay business taxes and people in those states should be aware of their unique requirements. These rules can regularly change as state governments change. For example, Florida doesn’t charge a separate business tax for LLCs that are sole member LLCs. However, partnership LLCs and S Corporations must pay business taxes. New York City applies an additional tax to LLCs but, otherwise, the income taxes are treated the same way as in the federal tax system. These are just a couple examples of how LLC taxes may vary from jurisdiction to jurisdiction. Being aware of the local or state rules regarding LLCs can help business owners make a more informed decision when deciding whether or not to register as an LLC. Which Businesses Should Register as an LLC? Unfortunately, there is no simple way to determine in a blog if a business should register as an LLC or not. This is a decision that may offer a lot of benefits without introducing new tax complications which makes it an attractive solution for many business owners. However, there may be situations where choosing to incorporate makes more sense, despite the additional tax complications this may introduce. It is advised that business owners consider all of their options and look beyond just tax responsibilities before making a final decision. If needed, it may be wise to consult with a tax professional that can help lay out all of the pros and cons as they relate to local, state, and federal tax responsibilities. Highness Sheikh Mohammed bin Rashid Al Maktoum, Vice-President and Prime Minister of the UAE and Ruler of Dubai, has enacted changes to the Dubai International Financial Centre (DIFC) authority’s legal and regulatory framework. The newly enacted laws, which update the DIFC’s companies and property regimes, as well as the overall operating environment for entities based in the centre, aim to ensure that the DIFC remains the most sophisticated and business-friendly common law jurisdiction in the region. The new law will now follow a public and private company regime after substantial research, consultation and global benchmarking to allow maximum flexibility, especially for small private companies. In addition, it will provide appropriate levels of oversight for complex corporate arrangements, such as those associated with listed entities, mergers, schemes of arrangement and debt restructurings. The new law replaced the former Companies Law and its operating regulations. We will glance through the key changes under the Companies Law and Regulations and Operating Law and Regulations. The new law has abolished limited liability companies and has introduced a new classification of public and private companies. The private and public company regime will now allow maximum flexibility, especially for small private companies. With the introduction of the new law, private companies limited by shares (Ltd.) can have up to 50 shareholders and public companies limited by shares (Plc.) can have any number of shareholders. Moreover, there will be a distinct set of requirements for both of them. A public company must operate with at least two directors and a company secretary whereas a private company is not required to appoint a company secretary and can operate with just one director. The new law will further expand directors’ duties for DIFC companies. They are expected to disclose any interest in a transaction that is entered into or is proposed to be entered into by the company that conflicts or may conflict with the interests of the company. Furthermore, directors are required to act honestly, lawfully and in good faith keeping the best interest of the company. Another change is, a public company is required to have a minimum of USD 1,00,000 capital, of which at least 25% must be paid up. However, a private company is not required to have a minimum share capital. The new law also introduced a statutory pre-emption right for existing shareholders of the companies to guard against undue dilution of their existing rights. The new law has enacted a new schedule of administrative fines that the Registrar of Companies can impose on a company. As per the new law, companies are not required to notify ROC about the initial allotment of shares. Notification is required only in case of subsequent allotments. The law further provides new provisions for ‘whistle-blower’ protection. The law also enhanced the company accounting and auditing requirements. The new law provides a detailed framework for the role of the Registrar of Companies. ROC’s role will now include supervision and monitoring of the DIFC law and ensuring that the companies operating within DIFC are complying with the law. The new law further enhanced the licensing regime by providing a detailed framework concerning the licenses issued by the Registrar of Companies and their types. The new licensing regime will enable companies to conduct more business within DIFC or from DIFC. The new law requires companies to file a confirmation statement in case of license renewal. The law has strengthened the powers of the Registrar relating to inspection and investigations. The law also provides an extension of the ROC’s enforcement powers. What are the objectives of the legislative changes? The legislative changes are aimed at providing flexibility to the companies operating in the DIFC. The law further aims to enhance the business environment and reduce entry barriers in the DIFC. Moreover, it will increase the cost-efficiency and flexibility of small businesses, which constitutes a major portion operating within the DIFC. DUBAI EXPO 2020- A WINDOW OF OPPORTUNITY Dubai is getting set to play host to the world between 20 October 2020 and 21 April 2021. These dates mark the start and end of the Dubai Expo 2020 – an extravagant event that will serve as a confluence of ideas and expected to be attended by 25 to 30 million people from around the globe 70% of which will be innovators and investors from over 180 countries. The first World Expo was held in 1851 at London’s Crystal Palace and was known as The Great Exhibition of the Works of Industry of All Nations. It displayed about 100,00 objects showcasing the inventions from the industrial revolution.That was called the Great Exhibition of London and showcased the innovations and inventions of the industrial revolution. The Dubai Expo 2020 is organised by BIE (Bureau International des Expositions), a global intergovernmental organisation in charge of overseeing and regulating World Expos, since 1931. ➔ Skilled and unskilled labour – The Expo is expected to have a cascading effect on the job market, and human resource business opportunities on all sectors are expected to rise in tandem. ➔ Real estate – The massive influx of people into Dubai is expected to cause an exponential boom for the established names in the construction business. The massive demand is also expected to pave the way for many new entrants in this sector. ➔ Services – Service field businesses such as travel agents, legal advisors, and law firms such as legal consultants for company formation in Dubai as well as medical practitioners and hospitals will continue to be in demand. There might not be a better time to start planning for business setup in Dubai than just before the Expo 2020. ★ Printing and packaging – The Expo is expected to place an increased demand on supplementary businesses like the printing and packaging industry resulting in phenomenal growth during the Expo period. ★ Media and advertising – All kinds of advertising and media operations will see a massive boom during the Expo. ★ Hospitality – The unparalleled number of visitors will fuel a tremendous growth in the hospitality industry. ★ Travel Agency – The high number of foreign visitors will provide a massive opportunity for the travel agents of UAE. The Expo 2020 is also expected to act as spur for the tourism industry. The many Small and Medium Enterprises (SMEs) in Information Technology can use this as an opportunity to popularise an idea they have or a bring in a new application that could potentially lead to its mass adoption. Artists and designers will be able to showcase their collection to a very diverse market. Freelancers like writers, software developers, gamers will be able to find new collaborations. Expo 2020 will generate at least a million jobs indirectly. Human resource services – Many cutting edge companies and enterprises visiting Dubai will choose to stay back and initiate their business operations in UAE. This opens an opportunity in the Human Resource Sector to supply the required resources for these industries. Construction – The large scale infrastructure projects will provide a spike in Dubai’s construction sector as well as create additional metros, roads, power plants and lead to the reclaiming of land for development. Energy & Water – The demand for energy and water will increase rapidly due to the increased business opportunities. With the theme of “Connecting Minds, Creating The Future” Dubai Expo 2020 pays homage to the strategic location of Dubai as the ideal connector between East and West. Dubai Expo fosters an ideal environment for entrepreneurs all around the world to collaborate and come up with new ideas to make the world a better place. International companies looking to set up a business in Dubai ahead of 2020 are urged to seek assistance from a local company formation expert with relevant knowledge and experience of company formation in Dubai and its many Free Zones. Make the most of this chance and start your company in Dubai to become a part of the success story of the Expo. Get in touch with an established business setup consultant in Dubai who can help you obtain requisite permits and permissions for any venture you are interested in launching in Dubai. Most well-known agencies provide company setup in Dubai mainland as wellnes. With the introduction of Value Added Tax – VAT in the UAE, among all other schemes Tax Refund Scheme for Tourists has been the most awaited one. UAE has been a destination for millions of tourists especially Dubai, which is one of the Emirates of the UAE well known for its Tourist Attraction, Business Hubs, Luxury Shopping and its ultramodern architecture. When will VAT refund scheme for tourists be applicable in the UAE? The Federal Tax Authority – FTA has declared that Tax Refund Scheme for tourists will be initiated from November 2018. In this scheme, tourists will be able to avail for the VAT refund if they shop from retailers who are registered for Tax Refund Scheme under tax refund scheme for tourists. When can retailers register for VAT Refund Scheme for tourists? Retailers registered for VAT under FTA can start registering for Tax Refund Scheme for tourists from 10th September 2018. Briefing from the FTA related to the above will be held in Abu Dhabi on September 11th, 2018 and subsequently in Dubai. What are the conditions to avail VAT Refund Scheme for Tourist? Goods should be bought by the tourist in the UAE. Tourist visiting the UAE must exit UAE within 90 days from the date of shopping along with the items bought. In order to get the VAT Refund, tourists should be sure only to buy from registered businesses for tourist refund scheme in the UAE. FTA will lay down the procedures to be followed to avail VAT refund to the tourists. Where can tourists avail refund of the VAT they paid for their shopping? The tourist can refund the tax they paid for their shopping only from the outlets and point of sales which are registered under the Tax Refund Scheme for tourists. There will be designated places where the tourists will be able to avail their VAT refund scheme through an electronic system. A digital machine will be able to determine the taxes that are eligible for refund and then the tourists shall be paid accordingly. What are the steps to avail Tourist Refund Scheme? Once you are finished with your shopping, a “tax-free tag” will be attached to your payment receipt. This “tax free tag” is very important as it will help you further to avail Tourist Refund Scheme with a minimum purchase of AED 250/-. This “tax free tag” is valid for Tourist Refund Scheme for a period of 90 days from the date of purchase. Once your “tax free tag” is validated you will receive 85% of the VAT with less AED 4.80/- deducted for admin fee. It is important to note that validation is mandatory in order to avail Tourist Refund Scheme. For this purpose, you will be required to provide your passport / boarding pass and additional checks will be carried out to ensure everything is carried out in the right way. The validation can be done in 3 major airports of UAE until 16th December 2018 which is Dubai International Airport, Abu Dhabi and Sharjah airport. Later, validation points for Tourist Refund Scheme will be available in 9 other locations in different emirates. There are two types of refund in which you can avail Tourist Refund Scheme, i.e., by cash or credit. There will be assistance provided by planet tax free staff in order to get your refunds availed by Tourist Refund Scheme. No one apart from the owner can avail the refund. Nam Accountants houses a wide range of TAX Services for all businesses in the UAE . The Tax Team in Nam Accountants engages professionals with relevant experience in Taxation hailing from different ends of the globe.